A world beyond hope. A girl with a secret. One chance for survival. The Passage meets Mad Max in this stunning debut. Outback Australia. Hundreds of years from now. After the end. A girl races across the desert pursued by the reckoner, scavenged spoils held close. In a blasted landscape of abandoned mines and the crumbling bones of civilisation, she survives by picking over the dead past. She trades her scraps at the only known settlement, a ramshackle fortress of greed, corruption and disease. An outpost whose only purpose is survival ­– refuge from the creatures that hunt beyond. Sold then raised hard in the System, the Orphan has a mission, carries secrets about the destruction that brought the world to its knees. And she's about to discover that the past still holds power over the present. 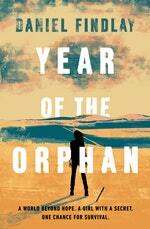 Given an impossible choice, will the Orphan save the only home she knows or see it returned to dust? Both paths lead to blood, but whose will be spilled? 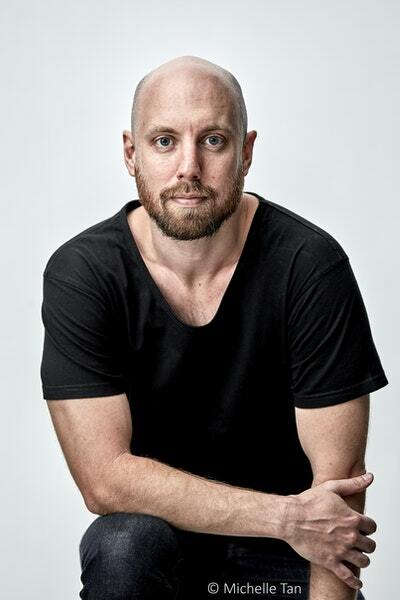 In a post-apocalyptic future, survivors scavenge in the harsh Australian outback. Living rough in the remnants of our ruined world, an orphan with her own brutal past must decide if what’s left of humanity is worth saving. There were a heat. Air hotter’n blud. Baked her skin as she moved. Dint carry much. Evrythin she had weighed against how far itd have to go. Count it. No ship, that were gone down a hole. No swag bar sum rounds that might help her get it back, the rest of it cast off an down the same hole. A bottle, drymeat, tea and a billy, four heavy rounds, scope, watercatcher, skully and wrap. Coat, boots, shirt an strides, more dust than cloth, woulda stood up on their own if she let em. Flint. Long knife. The shimmer come off the top of the cracked clay in the gully, always ahead, never gettin any closer. No seasons in the desert no more. Blud weight, blud money. It were a dead mans jacket she wore but that werent sayin much. Once and soon enough her boots was gunna be on sumwun elses feet. If they ever found her that was. She dint need no talent for seein the signs nor the scope to tell her that soon enough she was gunna be with the dust and dead and gone and on the wind. The System were near, she could feel the colour of it comin closer, but she figgered she werent gunna make it this time. Brace yourself for revelatory visions from beyond the horizon. 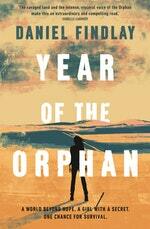 Daniel Findlay on creating a language for Year of the Orphan. 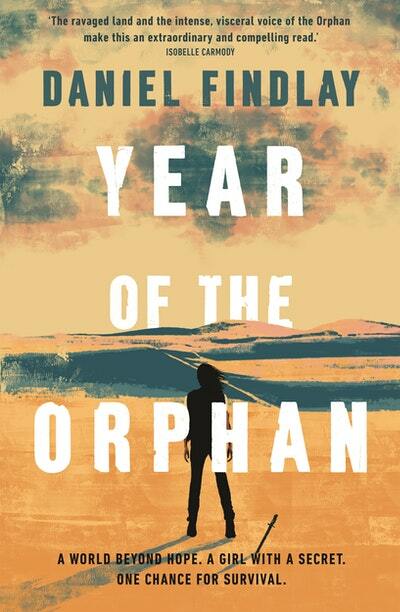 Love Year of the Orphan? Subscribe to Read More to find out about similar books.